What a Year for Wedding Cakes! Well with 2016 coming to a close I just wanted to say a huge thank you to all our gorgeous brides and grooms this year who were so lovely as to order their wedding cake from us here at Sticky Fingers Cake Co. I do hope you each enjoy your first Christmas as Mr & Mrs! We were at Orsett Hall in Grays, Essex during August for the wedding of Abbey and Ross. They had ordered their wedding cake from us two years earlier, so it’s never too early to order your wedding cake! Abbey and Ross had a naked wedding cake decorated with fresh berries which was displayed on Orsett Hall’s silver cake stand, which is quite unusual (we normally display them on tree slice cake stands) but it looked fab! Our last wedding cake of the year was for Wai-San and Phil who actually got married in Central Park, New York (very cool!) but had their reception party back in the UK at the cute Old Parish Rooms in Rayleigh, Essex. They chose to have a 4 tier naked wedding cake, having a gluten free Black Forest cake as their bottom tier. Finally, our year here a Sticky Fingers Cake Co was finished off with The Essex Wedding Awards 2016 finals, which we had reached back in October. 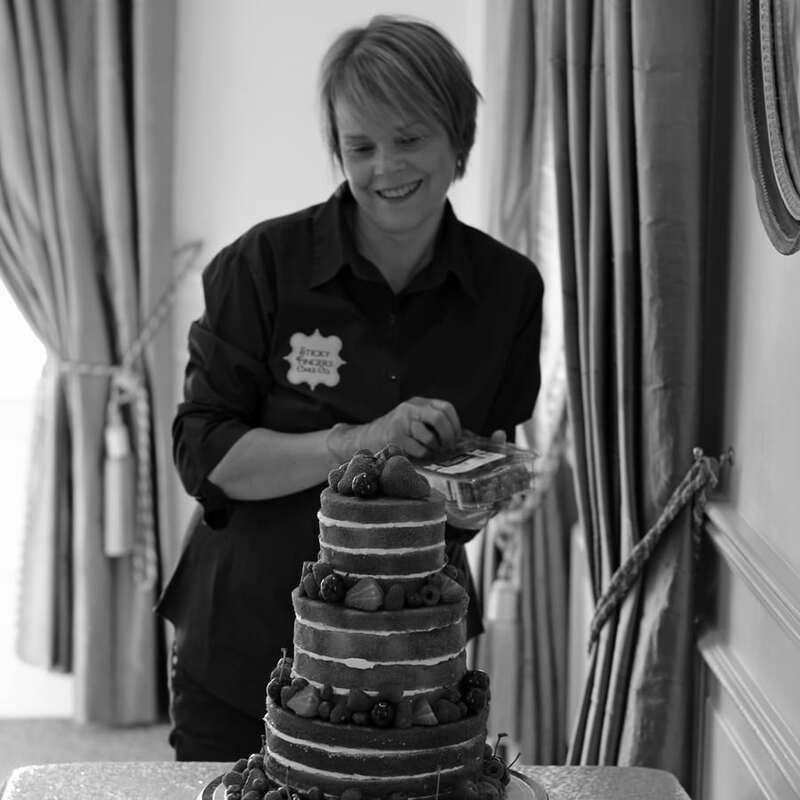 Such an amazing honour to be recognised as one of the best wedding cake designers in Essex! What a great end to the year! And so onto 2017 which is looking busy already and so far showing a resurgence of interest in iced wedding cakes! Thanks again to everyone involved in our year here at Sticky Fingers Cake Co and we wish you all a Merry Christmas and a happy and healthy 2017. Remember it’s not too late to book your wedding cake for 2017 so please get in touch so we can talk about cake!